Willibald Steinmetz is Professor of Modern and Contemporary History at Bielefeld University. 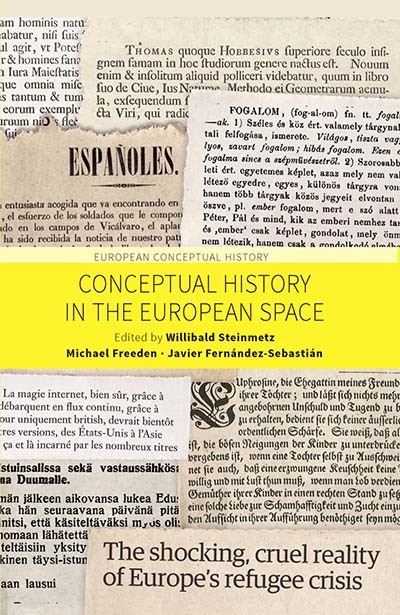 He has published widely on conceptual history and is co-editor of the book series Historische Semantik with Vandenhoeck & Ruprecht. Among his publications are the edited volumes “Politik”: Situationen eines Wortgebrauchs im Europa der Neuzeit (2007), Political Languages in the Age of Extremes (2011) and Historische Semantik des Politischen: Vom Mittelalter bis ins 20. Jahrhundert, with Ulrich Meier and Martin Papenheim (2012). Michael Freeden is Emeritus Professor of Politics at the University of Oxford and Professorial Research Associate, SOAS, University of London. His main interests are the nature of political thinking, the analysis of ideologies, and the study of liberal thought from the 19th century onwards. His books include Ideologies and Political Theory: A Conceptual Approach (1996), Liberal Languages (2005), The Political Theory of Political Thinking: The Anatomy of a Practice (2013) and Liberalism: A Very Short Introduction (2015). He is the founding editor of the Journal of Political Ideologies. Javier Fernández-Sebastián is Professor of History of Political Thought at the University of the Basque Country. He has published extensively on modern intellectual and conceptual history, with a particular focus on Spain and the Iberian world. He serves on the editorial board of various journals as well as the series International Archives of the History of Ideas with Springer Verlag. He has recently edited the volumes Political Concepts and Time: New Approaches to Conceptual History (2011) and La Aurora de la Libertad. Los primeros liberalismos en el mundo iberoamerican (2012).